Happy Father’s Day! 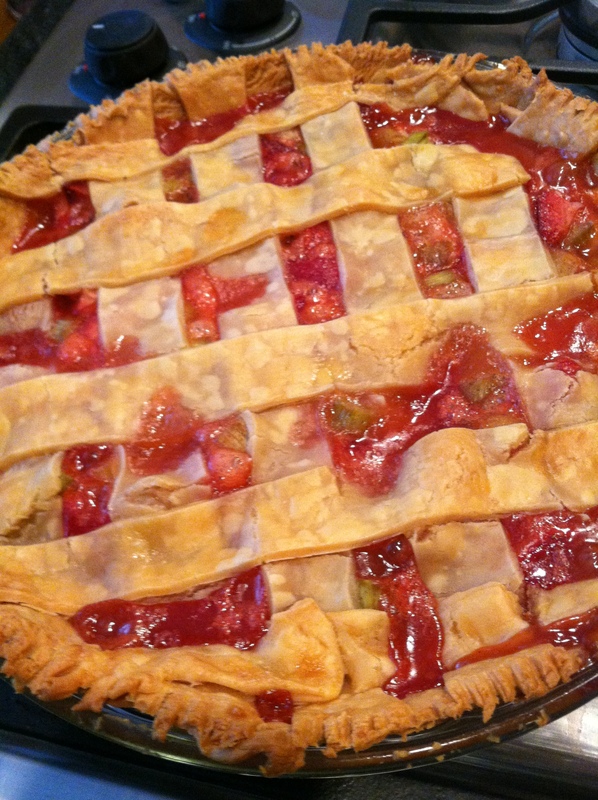 Nothing quite says “I love you, Dad” like his favorite pie…in my dad’s case: strawberry rhubarb! So, first I’d like to apologize to the pie crust gods…I didn’t make my crust from scratch this time (Thank you, Pillsbury) but the really important part is the filling, anyway, right? So get your spatulas out, and get baking! 1. 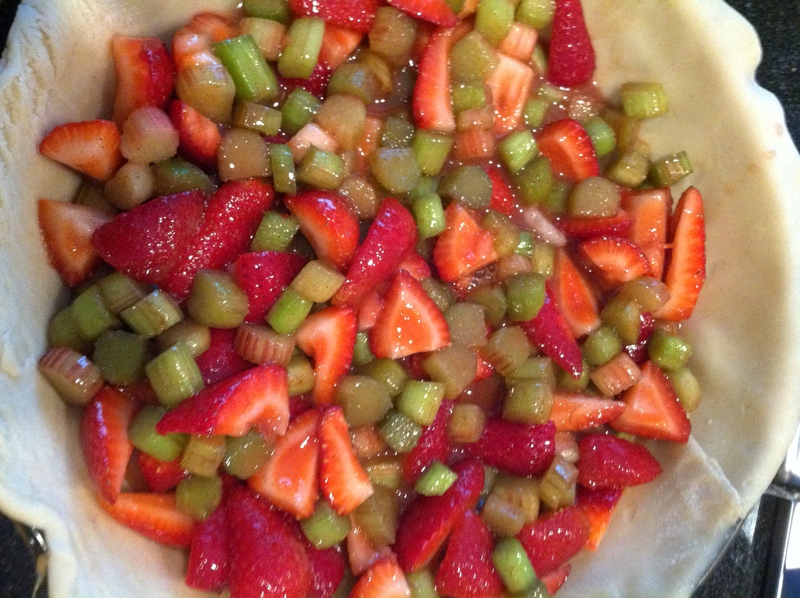 In a large bowl: put the sliced rhubarb and strawberries in with the little lemon juice and mix gently. 2. Add the sugar, flour, cinnamon and vanilla and mix. 3. Allow the filling to marinate for 20-30 min. 4. Roll out dough and put in the pie pan, adding the filling on top. 5. 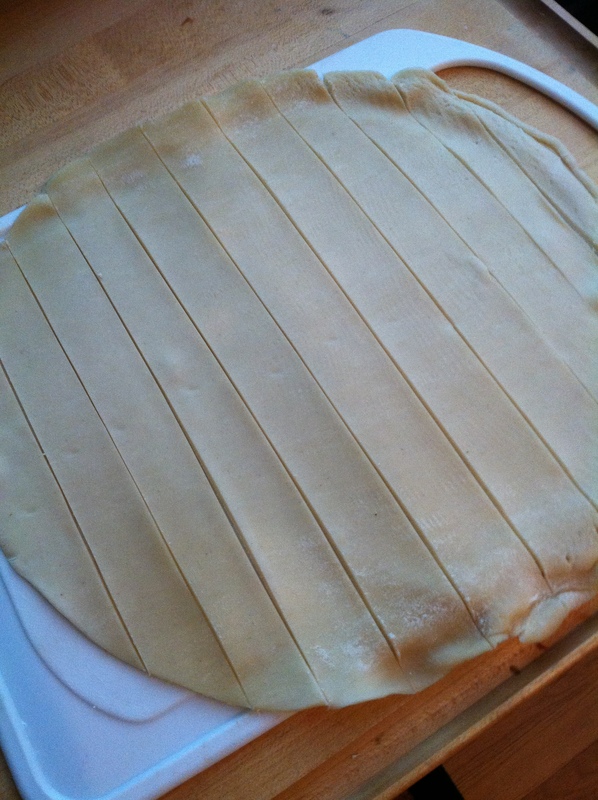 Option b) For a lattice pie top: Roll out the second crust and slice it one way in 1 inch strips (see in the picture below). Then lay them in the lattice pattern.